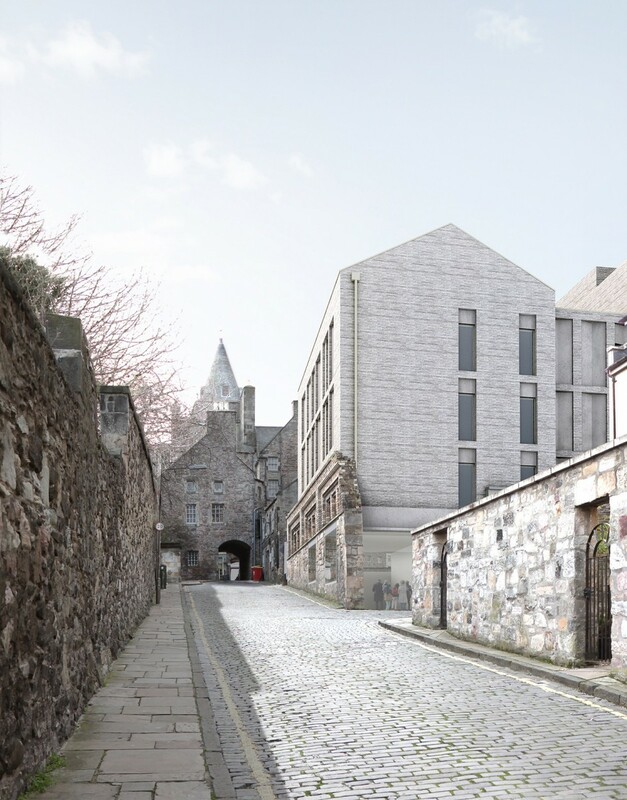 London-based residential developer Summix and 3DReid Architects have put forward new plans for 91 purpose-built student flats off Edinburgh’s historic Canongate, supplanting a previous bid to deliver 115 student homes. 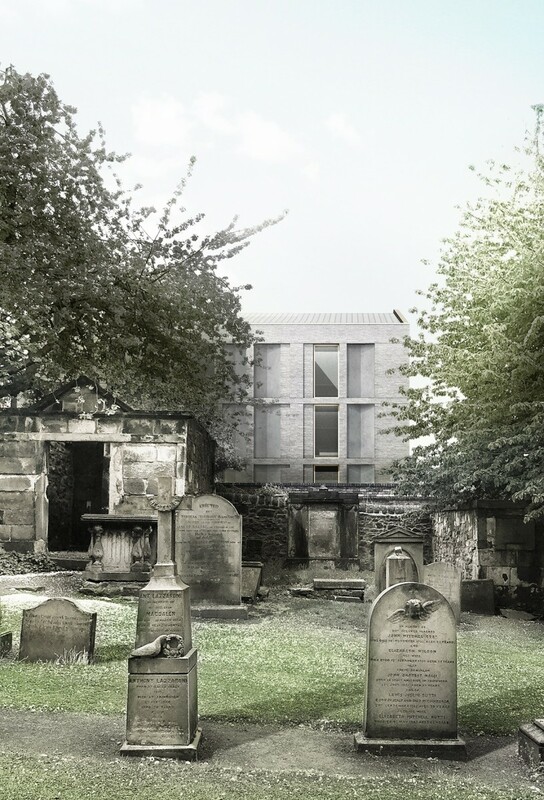 This time round the vacant Old Town site, adjacent to the A-listed Canongate Kirk, will play host to a brick-clad new build behind the retained façade of a former gasworls on Old Tolbooth Wynd, which would have been swept away under prior plans. Other industrial buildings, latterly used as office space, will be demolished as before. 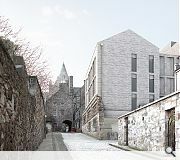 In a statement outlining the architectural considerations behind the design 3DReid wrote: "The footprint of the building takes cognisance of the existing structures and spaces, enhancing permeability across the site by way of a continuation of the Old Town’s characteristic close and court arrangement. 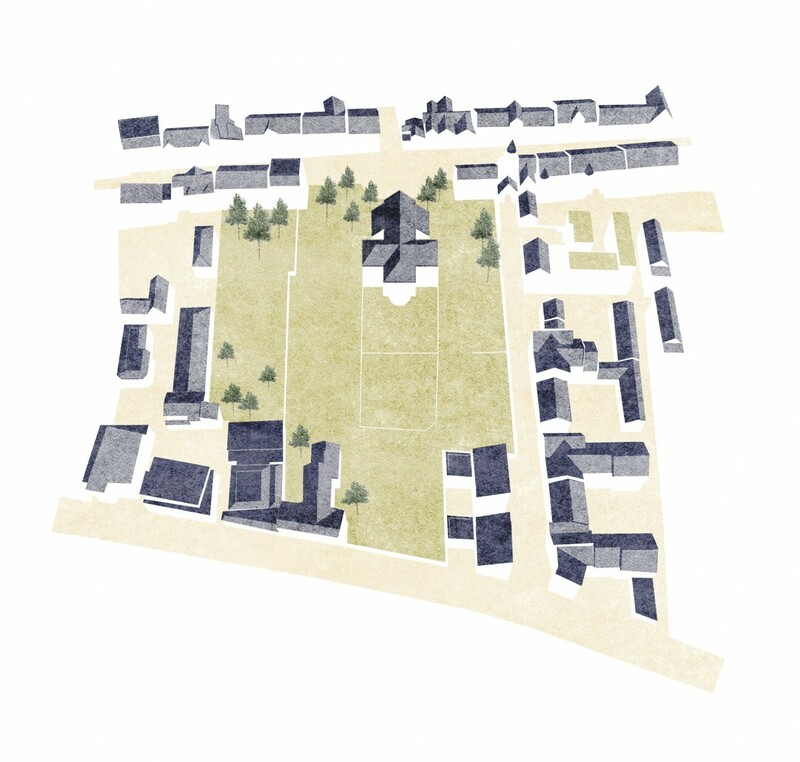 Pronounced level changes across the site have been reconciled to ensure ease of access throughout, with the articulation of its massing being such to stitch the development into the predominant urban grain of the wider conservation area. 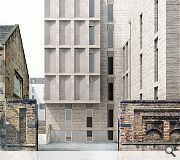 "A significant portion of the historic built fabric has been maintained, the proposed development inserted into this in a manner that makes entirely legible new and old. 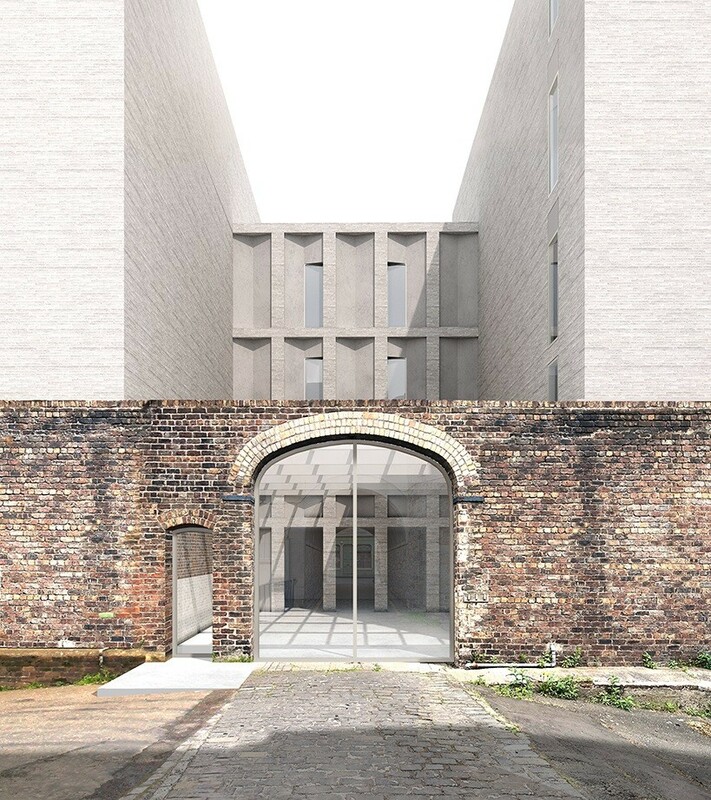 This continuing the condition of layered construction that is currently evident, with Victorian-era brick buildings situated on stone rubble structures associated with the earlier Magdelene Asylum and bowling green that once occupied the site. 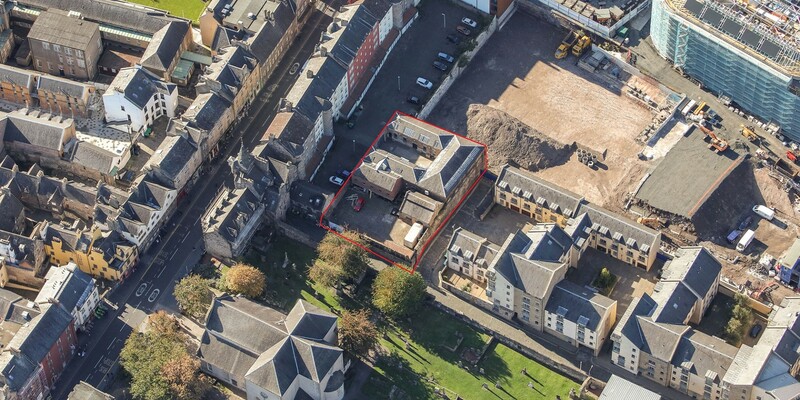 "A community space is also included, with direct access to Old Tolbooth Wynd, providing activity and presence to the street, enlivening a currently dark, somewhat intimidating route." 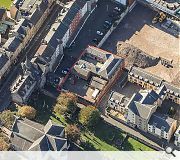 The scheme adds to ongoing regeneration in the area led by the New Waverley development. Neither one thing nor the other and what is being kept isn’t that great. It just smacks of posturing to tick planning policy boxes. And it looks like an Italian morgue. Am I right in thinking that was the site of Simpson & Brown's old office? Really nice spot, shame to see it swept away. These images convey a queasy looming creepiness. Images of a dystopian urban realm in which investors needing more wealth have replaced local history. In this distinctive, evocative setting, the Old Town (clue in the name) which buildings contribute more to the nature of this place? 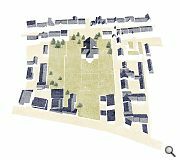 The existing structures, repairable and reusable, or the proposed new buildings, which could as readily sit anywhere else? Has the time come to admit that profit-taking is less important than uniqueness of place? Haunting. 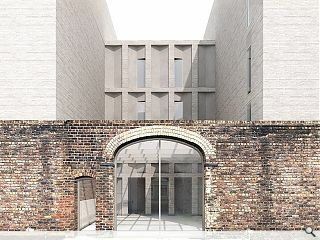 The windowless frames almost emphasise the buildings lack of glazing. 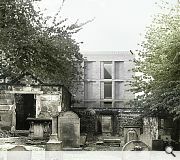 Its cold rendering, especially in the graveyard image, sends chills... it would be an impressive Mausoleum. Perhaps that’s the intended narrative? Students, debt, unemployment, poverty and then death. 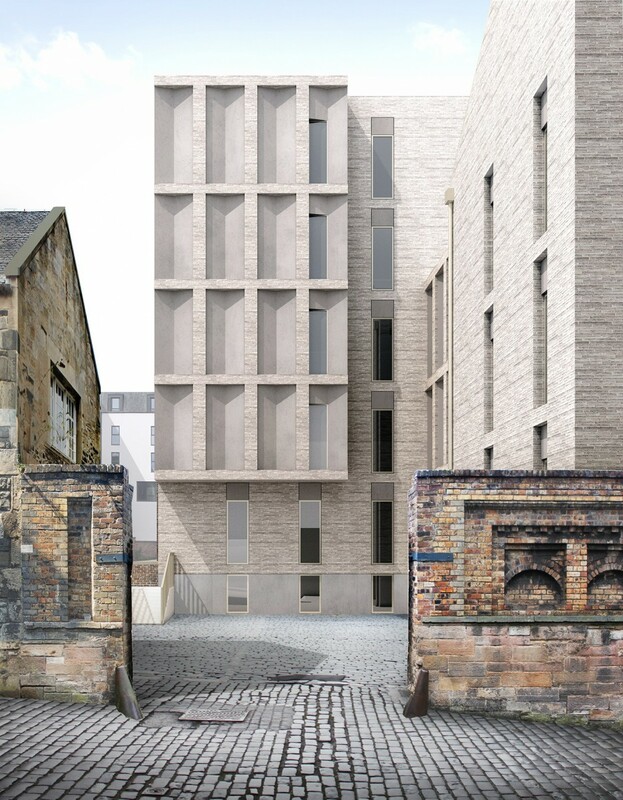 Having said all of that; I like the proportions and as "mainly blank" facades on student res go- these are nice ones. The site plan is hard to read, but it might look nice up on someone’s wall? Robert is right, it is a magical spot ..somewhere actually of its place. no designers, no thinkers, no track record with real involvement of anything meaningful. Slightly more relevant people further down the food chain but , "You gets what yah pay for - roll up roll up ". Bye bye Old Town been nice knowing you.